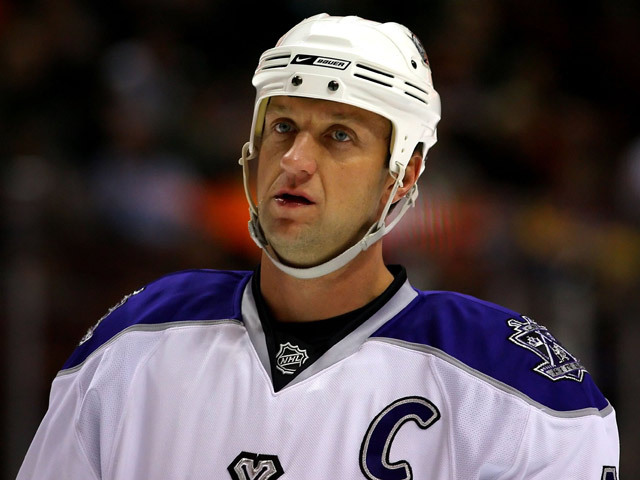 SAN JOSE – San Jose Sharks defenseman and team Captain Rob Blake today formally announced his retirement from the game of hockey, following 20 remarkable seasons in the National Hockey League. A Norris Trophy winner in 1998 with Los Angeles (finalist in 2000 and 2002) and a Stanley Cup champion in 2001 with Colorado, Blake will be remembered as one of the finest offensive defenseman to ever play the game. He finishes with 777 NHL points (240 goals, 537 assists) which places him 18th all-time among all NHL defensemen. His 240 goals rank tenth all-time and his 136 power play goals place him third all-time among blueliners. In 1,270 NHL games (20th all-time among defensemen) with Los Angeles, Colorado and San Jose, Blake fired 3,896 shots, the fourth-most attempts by any NHL rearguard. Among active NHL defensemen at the conclusion of the 2009-10 season, only Nicklas Lidstrom and Chris Chelios had posted more career points than Blake and no active blueliner had scored more career goals. Blake is one of only 24 players in hockey history to join the “Triple Gold Club”, winning a World Championship (Canada, 1994 and 1997), Olympic Gold Medal (Canada, 2002) and the Stanley Cup (Colorado, 2001). Blake became the 11th member on Feb. 24, 2002 with Team Canada’s Olympic Gold Medal at the 2002 Salt Lake City Games. Blake, 40, spent the past two seasons in San Jose and was named team Captain on Sept. 30, 2009. In 143 games with the Sharks, he posted 75 points (17 goals, 58 assists) along with 170 penalty minutes and was a plus-29. He picked up his 500th career assist as a member of the Sharks on Jan. 9, 2009 at Edmonton. On March 23, 2010, he became just the third defenseman in NHL history over the age of 40 to collect three assists or more in a single game (Tim Horton and Carl Brewer). “What Rob Blake has accomplished over the course of his hockey career speaks for itself,” said Sharks Executive Vice President and General Manager Doug Wilson. “The standard that he helped bring into our dressing room will be felt by our organization and players for years to come. “Rob is a prime example of what is great about the game of hockey – the best players never act like they are bigger than the game. He had the ability to lead in the dressing room not only because of his elite skill level but also because his blue-collar heartbeat allowed him to relate to and earn the respect of all of his teammates. In addition to his Stanley Cup win in 2001, Blake also appeared in the 1993 Stanley Cup Finals with Los Angeles against the Montreal Canadiens. In 146 Stanley Cup Playoff games, he posted 73 points (26 goals, 47 assists), tied for 25th best all-time among defensemen. His 436 shots from the blueline rank fifth all-time in postseason play. The Simcoe, Ontario native was originally selected by the Los Angeles Kings in the fourth round (70th overall) of the 1988 NHL Entry Draft. He was selected for the NHL All-Rookie Team in 1991 and appeared in seven All-Star games (1994, 1999, 2000, 2001, 2002, 2003 and 2004). Blake was recognized with the NHL’s highest honor for a defenseman in 1998, winning the James Norris Memorial Trophy and was also a finalist for the award in 2000 and 2002. 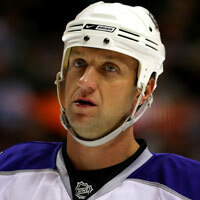 In addition, he was named NHL First Team All-Star in 1998 and NHL Second Team All-Star from 2000-2002. Blake has also had an illustrious International career outside of the NHL. He has represented Team Canada in the Olympics three times (1998, 2002 and 2006) and appeared in five World Championships with Canada (1991, 1994, 1997, 1998 and 1999). Blake was selected for Team Canada for two World Cup of Hockey tournaments (1996, 2004) but did not play in 2004 due to injury.